Bonjour Tunestars!! It’s two of your favourite Senorita’s Bec and Georgie! Why is it, you ask, that we are speaking in such exotic EUROPEAN languages??? Ummmmm because within the next month we’re BOTH going to…EUROPPPPE….OMGGG! A wise soul once said “The world is your oyster”….which is a saying we still do not understand but we are both doing exactly that…making the world our goddamn oyster. Georgie’s overseas venture starts on Friday as she abandons us here at Tune-Up to embark on a 6 week Contiki. Then on the 5th of July, Bec will be trailing closely behind to get a taste of that sweat Euro summer! We all know what you’re thinking…how will Tune-Up carry on without these wild, crazy, vivacious gals around??? And the answer is…it won’t. There is no way it could possibly live on after we’re gone. In fact we’re certain the bar will simply spontaneously combust and turn to ashes….Ok soooo maybe not. But we’re certain there will be a huge gaping hole without us around. Drink more…it will help numb the pain that you feel knowing that we’re absent. Sing lots of travel-related songs like “Leaving on a Jet place” or “Around the world” so you can live through these songs and imagine you’re holidaying with us. And last but not least….keep reminding yourself that some day you WILL see us again! We promise to take LOTS of photos and rub them in all of your faces!! We have to admit that we are going to miss all of our fave Tune-Up customers. Sing for us, drink for us and remain merry without us around. 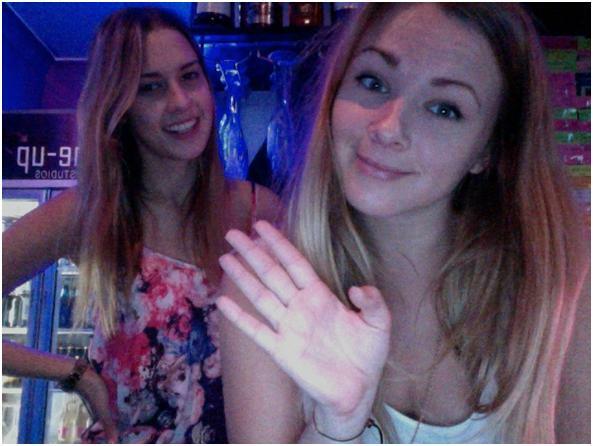 We know our other AMAZING, fun girls will take good care of you in our absence!